View More In Gun Belts - Page 6. 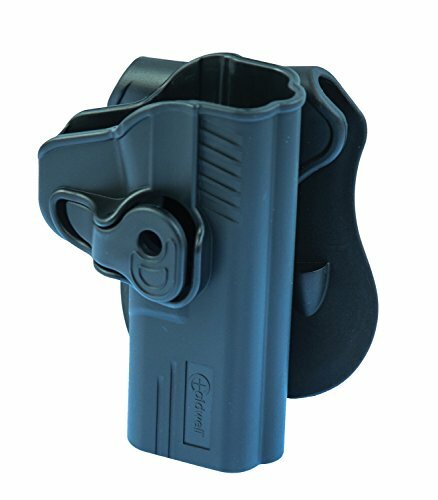 The all new line of Caldwell Tac ops holsters, magazine pouches and duty belts offer everything a handgun owner needs! the Tac ops retention holsters are made of reinforced polymer, are designed to custom fit numerous handgun models and feature a trigger guard retention lock. The Tac ops covert IWB holsters ergonomic design provides users extreme comfort while being worn all day. The heavy duty carry belts look Great, are extremely robust, comfortable to wear and can withstand the weight of almost any handgun. If you have any questions about this product by Caldwell, contact us by completing and submitting the form below. If you are looking for a specif part number, please include it with your message.